Lightning follows in their wake. We bow to their might. 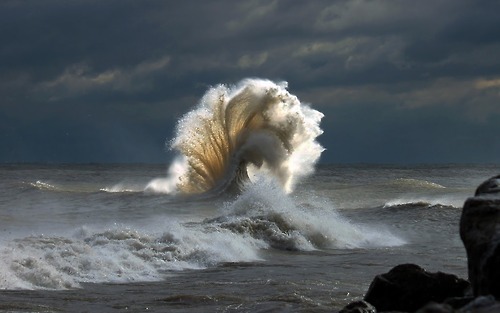 in the curl of the wave.